Leaders who joined Gideon Fidelzeid in Seattle for this WE Communications-hosted event said brand communicators must work with all stakeholders to convey the right message, particularly in turbulent times. We’re living at a time when sentiment on social issues such as climate change, gay marriage, and immigrant rights have diverged politically and publicly. 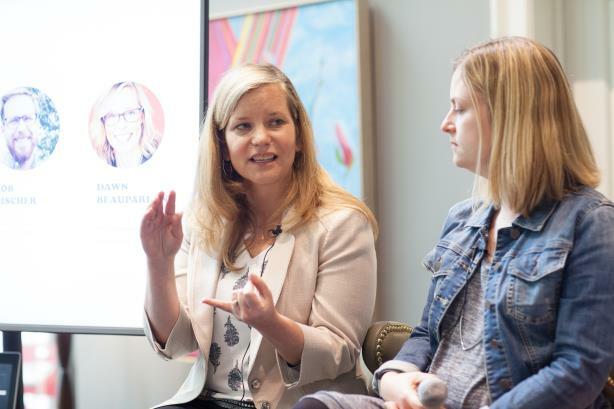 Amidst the volatility, brands have a huge responsibility and opportunity, say the communications leaders who gathered recently in Seattle for this WE Communications-hosted panel. Unanimously, they all agreed brands can offer comfort, connection, and leadership to consumers in this uncertain world. "Brands provide that stability and trust over generations, administrations, and cultures," says Linda Mills, VP of corporate communications at Starbucks. "My mom says she’s so proud that I use Tide detergent just like she does. At Starbucks, that’s something we take very seriously. We want to have that consistent trust and faith from consumers in the brand." With the tides of public perception in constant motion, companies must stand behind more than just their products or services to build that trust and faith. "You must know your North Star," suggests Rob Discher, director of comms and public affairs at REI. "You’ve got to know your purpose as an organization. When you know that and consistently speak up on issues and build that trust, you will know where you play in the incredible, dynamic social landscape." "Everyone is on a quest for alignment between who they are and what they do [in their work]. That’s very powerful at an individual level," adds Dawn Beauparlant, chief client officer at WE Communications. "And it’s equally true for corporations, though sometimes smaller or younger brands get intimidated by the REIs and Starbucks of the world." But smaller, younger companies also have every opportunity to take a stance. In fact, customers and employees increasingly expect that of them. "Being in tech, we feel a lot of that pressure to weigh in on things," explains Katie Curnutte, VP of comms and public affairs at Zillow Group. So it’s understandable when the 11-year-old company joined other tech brands, including Microsoft, in denouncing President Donald Trump’s temporary immigration ban earlier this year. However, Curnutte says Zillow’s decision to do so was carefully considered. "We looked at our diversity and inclusion statement. We have a lot of employees affected by it," she notes. The litmus test has become: "If something is going against one of our core values, then we consider responding to it." Clearly, it is important for a company to identify and adhere to its values and mission. But when a company wades into an issue, it must also consider how to best do so. And corporate communicators play a huge role in helping brands ponder the true reasons for wanting to become part of a dialogue. There are questions every brand must ask itself, notes Beauparlant. "Are you doing it to shine a light on a particular topic that you feel is underheard? Are you doing it to really drive action? Is the world ready to hear from you on that topic?" This spring, when REI introduced Force of Nature, its initiative to increase women’s participation in the outdoors, the timing couldn’t have been more relevant given media attention around gender equality across all sectors. But the program also had a raison d’etre. "It started with a basic insight about a gap [between males and females] that we saw within the outdoor community, because our employees are a part of that community," says Discher. "We have a ton of really strong female leaders at REI." Those include cofounder Mary Anderson, who passed away earlier this year at age 107. When it comes to activism, "talk is cheap," emphasizes Mills. "But action and following up with it is most impactful." That is why when Starbucks protested Trump’s travel ban, it pledged to hire 10,000 refugees over the next five years. These kind of actions — though criticized by more than a few — have been critical to building the Starbucks brand, she says, starting with its 300,000 employees around the globe. "The reason customers return is not only because of the great coffee or free Wi-Fi," notes Mills, "but that connection they have with their barista. If our baristas are engaged and seeing our mission and values come to life, our customers will return." Employees are crucial to how consumers perceive brands, but the CEO sets the tone for how outspoken and issues-oriented a brand wants to be. "Some of them really want to take a stand," explains Discher, "while others are too nervous about blowback from B2B audiences or their consumer base." But when the chief executive does step up, the impact is huge, and it only bolsters the comms activity around the issue. "There’s a switch that really flips when you have it come from the CEO," says Beauparlant. Discher cites former New York Mayor Michael Bloomberg as an example. He wrote an op-ed in The New York Times declaring progress on climate change would be made even with Trump rolling back environmental protections. "That is a bit of a counterintuitive thought — doing anything other than criticize what’s going on within the administration," opines Discher. "But he had the stomach to step into that — and it changed the conversation." Mills says Starbucks has "never had to nudge" former CEO, now chairman, Howard Schultz nor current CEO Kevin Johnson. "Their voice is so critical," she notes. "It’s not just from a talking head or a spokesperson. When there’s skin in the game and you’re actually held accountable at a leadership level to uphold your mission and values as a company, that’s when you’ll really see meaningful impact." But Curnutte warns putting the CEO as the face of an issue only works if he or she feels strongly vested in it. "If the person who will be talking doesn’t authentically believe that’s the way to go, you can’t go there," she advises. "To put someone out there saying something they don’t believe in is one of the worst mistakes you can make." It’s better to have someone else in the company speak and "to work with what the CEO is already passionate and cares about."